WEST SPRINGFIELD, Mass. 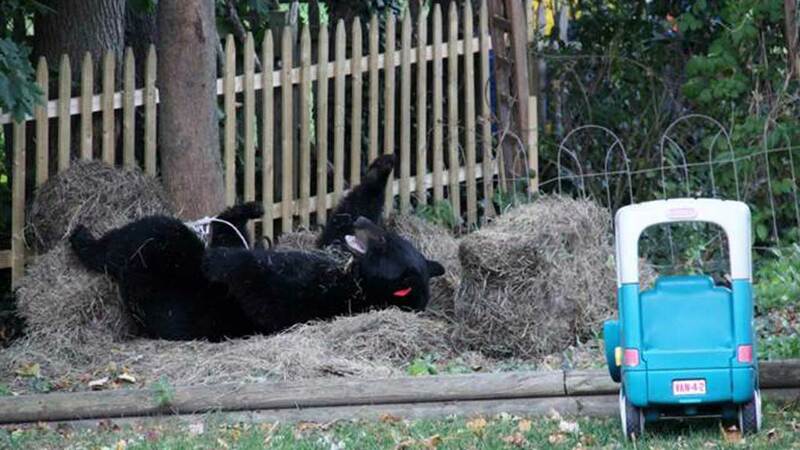 (WLS) -- A black bear had a ball in Kimberly Burke's backyard. Literally. He popped her grandson's ball, rolled around in the hay and took a dip in the pool.